Microsoft's research lab has announced a new technology that will make smartphone's rear camera work like a 3D scanner that can automatically create 3D models supposed to be adequate for printing. According to the Verge, researchers use an iPhone 5S in a demo video to scan objects just by moving the phone around them without any additional hardware. The phone tracks the object that is being captured and then builds up a model as the camera captures it from different angles. 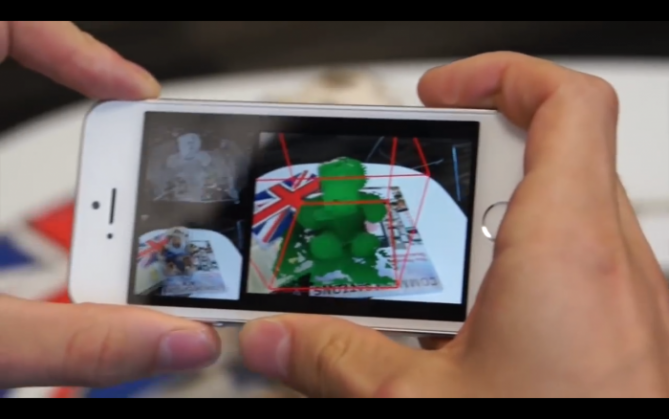 Microsoft says that no additional hardware is needed to turn the iPhone or other smartphones into a 3D scanner. The computation is all done on the phone. The project is called MobileFusion and researchers are currently trying to get it running on iOS, Android and Windows Phone. The company has no plans yet for release but the intention is to make it available to the general public eventually.